DARLINGTON, S.C. - Jimmie Johnson, who won a record-tying seventh NASCAR championship this past season, has been voted the winner of the 2016 Richard Petty Driver of the Year Award presented by the National Motorsports Press Association. Johnson, driver of the No. 48 Lowe's Chevrolet for Hendrick Motorsports, was named on 62 percent of the ballots cast for the award of the NMPA membership. Others receiving votes were Carl Edwards (Joe Gibbs Racing), Martin Truex Jr. (Furniture Row Racing), Kevin Harvick and Tony Stewart (Stewart-Haas Racing) and Joey Logano (Team Penske). The announcement was made during the NMPA's annual Convention and Awards Dinner held in Concord, North Carolina. It marks the seventh time Johnson, 41, has received the Driver of the Year honor. He also won the award in 2004, '06, '07, '09, '10, and '13. The award is named in honor of Petty, NASCAR's win leader in its top series with 200 victories. It has been presented annually by the NMPA since 1969. Twenty-three different drivers have won the award since its inception. Other awards: Veteran motorsports journalist Al Pearce was named the 2016 recipient of the National Motorsports Press Association's Pocono Spirit Award. Pearce raised more than $13, 000 through the auction of a racing helmet bearing the signatures of the 20 living World Driving Champions as well as those of Phil Hill and Sir Jack Brabham prior their passing. Proceeds from the project, which took nearly four years to complete, went to the Victory Junction Gang Camp, the Kyle Petty Charity Ride, the Jimmie Johnson Foundation and the Jeff Gordon Children's Foundation. Veteran public relations representative Dave Ferroni was named the 2016 recipient of the Ken Patterson Helping Others Award. Ferroni has been involved in various forms of auto racing for more than 30 years. His company, DMF Communications, currently handles public relations for Furniture Row Racing and driver Martin Truex Jr. in NASCAR's premier series. ESPN.com motorsports writer Bob Pockrass was named the recipient of the National Motorsports Press Association's Joe Littlejohn Award for 2016. The award is named after the former track owner from Spartanburg, South Carolina, and is presented annually by the NMPA in recognition for outstanding service to the organization. Pockrass recently completed his eighth year as secretary treasurer for the NMPA. 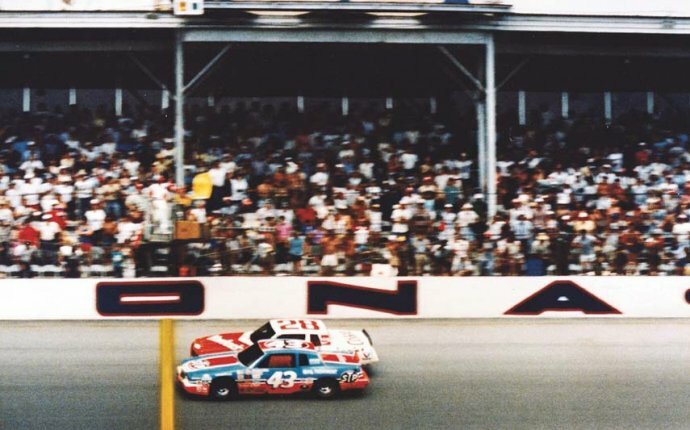 1985, Bill Elliott; 1984, Terry Labonte; 1983, Bobby Allison; 1982, Darrell Waltrip; 1981, Darrell Waltrip; 1980 Dale Earnhardt; 1979 Cale Yarborough; 1978 Cale Yarborough; 1977, Cale Yarborough; 1976, Darrell Waltrip; 1975, Richard Petty; 1974, Richard Petty; 1973, David Pearson; 1972, Bobby Allison; 1971, Bobby Allison; 1970, Bobby Isaac; 1969, LeeRoy Yarbrough.